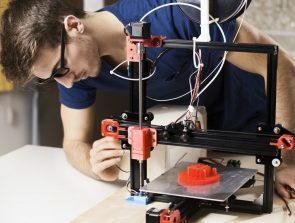 The field of 3D printing isn’t quite what it used to be, mostly for the better. Nowadays, we have desktop SLA printers, 3D printers with smarter features, and fancy filament options. 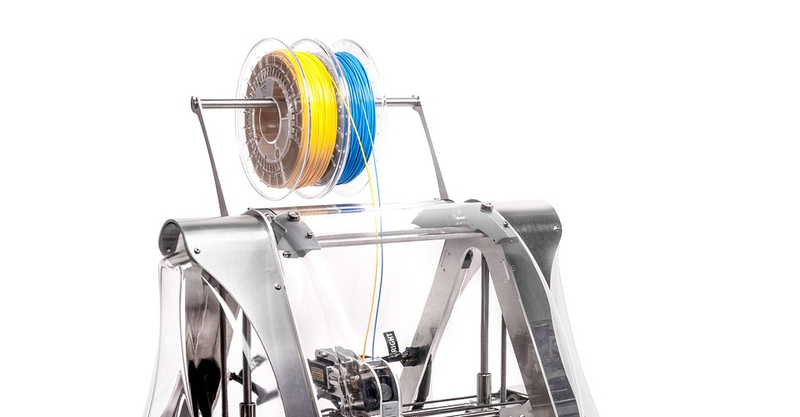 Despite the wide range of filaments that are easily available to users, ABS remains one of the most popular filament materials. A word of warning if you’re just about to get started with printing using ABS: it is known to be one of the trickiest filament materials to work with. In this article, we’ll help you tackle one of the biggest challenges when printing with ABS – the bed temperature. Why is bed temperature so important when printing with ABS? To what temperature should you set your heated bed? ABS stands for acrylonitrile butadiene styrene, a terpolymer that is made up three different monomers. Each of these monomers contributes to the physical and chemical properties of ABS. Acrylonitrile provides chemical and thermal stability; butadiene provides toughness and impact strength, while styrene provides a smooth and glossy finish to the final product. 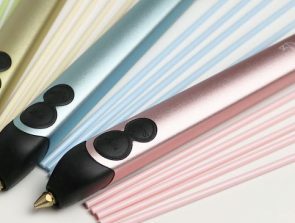 By changing up the proportion of each monomer, ABS can be customized to create products with varying characteristics. ABS was first developed in the 1950s as an improved version of standard synthetic rubber but was soon used across a wide range of industries as an engineering polymer. To the mainstream market, ABS is more commonly encountered as the material in Lego bricks. In terms of physical and chemical characteristics, ABS sits somewhere between commodity plastics and high-performance engineering plastics. Due to the hardness, electric and chemical resistance, and glossy finish of ABS products, they have become highly valued in a diverse range of applications. The versatility and reliability of ABS have made it one of the best-selling engineering thermoplastics. 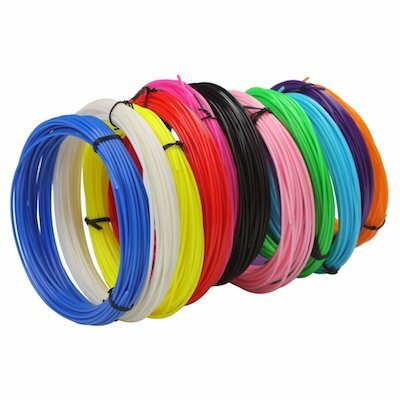 Why is ABS so popular as a 3D printing filament? Along with PLA, ABS is one of the two most popular filaments in the field of 3D printing. This popularity all comes down to price. 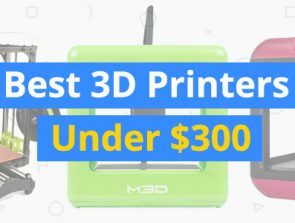 ABS is one of the cheapest 3D printing filament products. You can probably find a 1-kg. 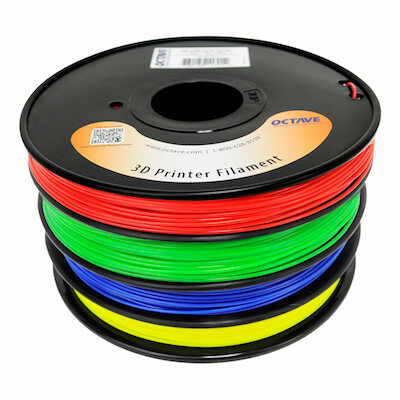 spool of ABS filament for less than $20, although more premium options could be cost twice as high. ABS has been the go-to material for 3D printing professionals who need to create objects with good durability, strength, longevity, and chemical and heat resistance. Although other filaments can perform better than ABS in some areas, they are typically more expensive. Since ABS has become so popular, how-to guides and videos on printing with ABS have become incredibly common. Manufacturers of 3D printers and 3D printing accessories have also introduced features that have made printing with ABS easier. Thus, printing with ABS is not as intimidating as it used to be. Another benefit of using ABS is the fact that easily dissolves in acetone. This provides 3D printing professionals with the unique opportunity to create perfectly smooth prints using the acetone vapor bath finishing technique. This is done by placing the finished print inside a closed chamber that is filled with acetone vapor. This melts a very thin layer of ABS plastic on the outer surface of the print, which removes all the rough edges. After a couple of hours of slow acetone dissolution, the ABS print will have a perfect and consistently smooth finish. Being a passive method, finishing using an acetone vapor bath is one of the easiest smoothing methods and produces great results. PLA offers no such benefits and getting the same level of quality with PLA will take a lot more work. Why will I need a heated printing bed when working with ABS? One distinct characteristic of ABS is it has a high glass transition temperature. This means that you will need to set the temperature of the hot end nozzle to between 220 to 250 °C, which is much higher than other 3D printing filaments like PLA. Although this makes printing with ABS a power-intensive process, it also enhances the heating temperature and layer adhesion of the final product. Unfortunately, the high printing temperature of ABS also introduces a couple of complications to the printing process. The first and more important problem is warping. Warping is the result of contraction of the plastic material as it cools down. In prints made using ABS, warping becomes more pronounced since the filament is extruded at much higher temperatures. The primary solution that 3D printers have come up with to solve the warping problem is to use a heated bed. A heated bed can be made of aluminum or borosilicate glass and has a heating element that runs along the bottom. Aluminum is cheaper and easier to find, but borosilicate glass provides better first layer adhesion for a slightly higher price. A heated bed works by keeping the first layer of the print at an elevated temperature. This has the effect of both enhancing the adhesion of the first layer to the print bed and reducing the thermal stress that the print is forced to endure as it cools down. As the print proceeds, layers farther from the print bed are less affected by its heat. However, these upper layers are also less prone to warping. Heated beds have consistently produced good results for printing of high-temperature filaments, even those that need higher printing temperatures and are even more prone to warping than ABS. 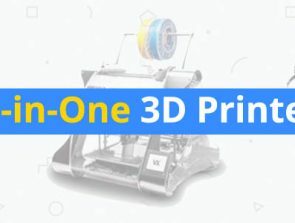 Nowadays, a high-quality heated printing bed is pretty much a staple in the set of accessories that any 3D printing professional should have. Heated printing beds are now available in all shapes and sizes, even the circular ones used in delta printers. What settings should I use for the heated printing bed? The recommended bed temperature when printing with ABS is 110 °C. This is very slightly above the glass transition of temperature, ensuring that the filament material remains soft and pliable but still solid. Make sure that you allow the bed to heat all the way through so that you don’t end p with unequal temperatures across the print bed. Unfortunately, the complications of printing with ABS don’t end there. Simply using a heated printing bed set at the right temperature is not an assurance that your first layer will be printed without a hitch. The following are a couple more pieces of advice so you can get the best results out of your ABS print. Experienced 3D printing professionals know the value of a good first layer. If you can’t get the first layer right, you might as well scrap the print and start over. In the case of ABS, a print bed that is not completely leveled will result in gaps, uneven layers, or poor bed adhesion. These can all happen despite the use of a heated printing bed and can all ultimately result in heavy warping. Most of the modern 3D printers come with automatic or semi-automatic bed leveling features. If such a feature isn’t available in your 3D printer, don’t fret. Manually leveling a printing bed is easy and can be done using simple office supplies. If you’re doing manual leveling, then all you really need is a single piece of an index card or cardboard. Start by setting the height of the nozzle at its home or zero position. You need to then “jog” the nozzle around the print bed, all the while checking if the piece of cardboard slips between the nozzle and the print bed with just a little resistance. In spots where the fit is too tight or too loose, you can then adjust the height of the printing bed using any of the bed’s adjustment screws. Depending on your printer, your bed may have three or four screws. As you do the manual adjustment process, you may find that adjusting one corner affects all other corners. This means you might need to go around the print bed several times before you can get it right. Be patient, as the results are worth it. We find that the manual leveling method, when done right, produces a more consistently leveled bed than any automatic method. Simply keeping the ABS in a partially melted state is often not enough to keep the first layer of the print bonded to the print bed. For more guaranteed results, you are going to have to augment the heated printing bed with an adhesive. Ironically enough, the most effective adhesive for ABS is also ABS, specifically ABS that has been dissolved in acetone to create an ABS slurry. If melting your precious filament sounds too wasteful, then an alternative that performs almost just as well is Kapton tape. Kapton tape is a little expensive as far as adhesive tapes go, but it retains its effectiveness even in elevated temperatures. Some users have reported getting better results with Kapton tape when using aluminum heated print beds. An advantage of Kapton tape is that it makes prints far easier to remove from the print bed when the printing process has been completed. However, applying a fresh layer of Kapton tape every time you start a new print can get old after a while, especially since you need to make sure that there are no gaps or overlapping strips. Your work to level the printing bed and apply an adhesive will all go to waste if you will not set the extruder at the proper starting height. Depending on your setup, getting the perfect Z-offset might take a bit of trial and error. For reference, the initial nozzle height should not be too low to cause deformation of the first layer but not too high that the filament will cool down before it reaches the build platform. However, a little bit of “squish” is desired, as it helps the first layer stick to the print bed. How will you know if the nozzle is at the correct height? When newly bought, most 3D printers will arrive with the nozzle pre-set at the most optimal height. This is the perfect opportunity for you to see what a proper first layer should look like. Over time, this Z-offset tends to drift and will require you to correct it manually. Unfortunately, the only reliable way to know if you have the correct Z-offset is to print trial first layers and to asses them visually. This will take some time and will use up some filament, but it’s not likely something that you’ll have to do frequently. A cooling fan is normally useful in 3D printing as a way to reinforce the durability of the print as it is being built. This is not the case for ABS prints. When working with ABS, cooling is the enemy, as it can promote warping. Most experts advise starting using a cooling fan only once you’ve built up several bottom layers. Our advice? Just forego cooling and finish your ABS print without turning on the cooling fan. You’re even better off using a 3D printer enclosure to slow down the cooling process. Printing a design with a large base, like a pyramid, makes it more prone to warping. This is because there is a higher amount of material that will contract as it cools, resulting in higher thermal stress in the corners of the print. When working with ABS, it is often advised to print a design in an orientation that reduces the size of its base, which reduces the chances of warping. However, resorting to this solution leads to another problem: there will be very little material in the first layer to adhere to the print bed. To remedy this situation, you can easily add a brim or raft to your design using your slicer software. A brim or raft extends the footprint of your build, giving it a larger surface to stick to the print bed. Printing a brim or raft is also an effective solution if you’re still encountering warping problems despite using an adhesive. Just keep in mind that you’ll need to remove that raft later on, which can be harder than you think. Despite the popularity of ABS, there is no question that it is one of the trickiest filaments to print with. With so many potential problems, ABS can seem like an intimidating material for beginners. While we won’t refute that working with ABS is indeed difficult, ABS has become so common now that you find countless guides online on how to use it best. Getting comfortable with ABS is but a single step towards being an expert in 3D printing. Most of the techniques used to handle the peculiarities of ABS can also be used for other, even more finicky filament materials.